There’s no denying timepieces are transcendent and most certainly a worthy investment. But these days there seems to be a shift more towards reduplication in terms of design over singularity. Long gone are the days of finding unique and minimal watches, at least, that is what I had assumed. 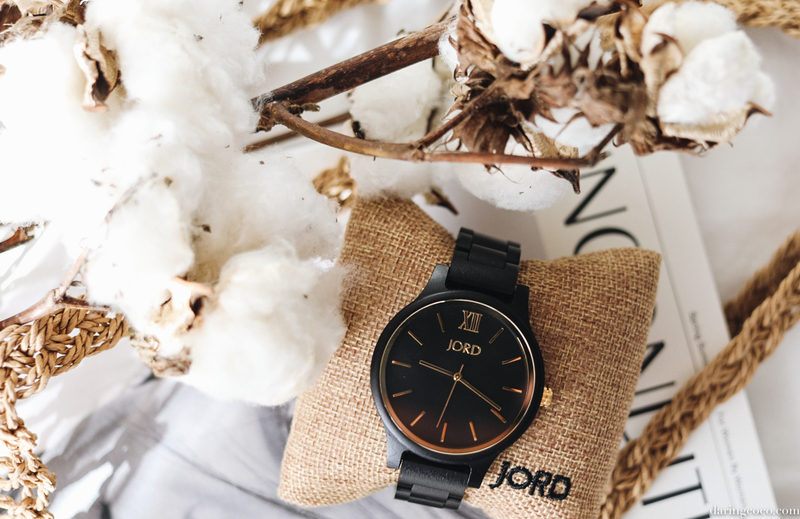 So let me introduce you to the wonderful wide world of wooden watches by Jord. If you’re not familiar with this brand, seemingly they specialise in crafting wooden watches. Catering in both men and women’s watches, styles range from transcendent designs to skeleton and chronological watches. Wooden watches are more than simply a sartorial accessory, they are fast becoming covetable timepieces for both men and women. Their distinctiveness, sustainability and durability becoming crucial and meaningful factors during election. Especially during a time of new technologies and perpetual imitated designs, you can’t help but yearn for the classics. Albeit one that is undeniably distinguished. Say hello to Frankie, my new and most beloved Jord watch. Comprised of Ebony wood, the kind utilised in piano keys and knife handles purely for durability reasons. Gender fluid, Frankie is ravishing in raven black and its striking gold details. This is simplicity and minimalism done oh so right. Actually, my dearest Frankie has taken on a life of its own. Promptly becoming more than simply a statement on my wrist but also as an enthralling conversation starter. Seeing as it doesn’t have those distinctive wooden characteristics you’d expect to find at first glance, you’d be mistaken into thinking it was a minimal yet traditional matte black metal type band. But upon closer inspection, those tell-tale signs of wooden grooves uniquely splayed across the entire surface are hard to deny. And I think that is what I adore most from my wooden watch. Such fine simplicity and detail; truly a minimalists delight. When it comes to summer accoutrements, wooden watches truly make for ideal accessories. Aside from design they are lightweight and offer a more breathable option than that of plastic or metals. You’re going to find it won’t silently escalate in temperature while you traipse or snooze under the unforgiving sunshine. It’s also not going to become a burden during languid summer afternoons. There’s also the eco and sustainability benefits in utilising wood over plastics. Personally I believe that alone is more than enough of a reason for best watches for men or for making an investment in women’s watches. Personally I am looking forward to having my Frankie accompany me on my upcoming European adventures. Not just for its sassy attitude but for its lightweight and durability properties. Hello formidable heatwave, my wrists won’t be bare after all. 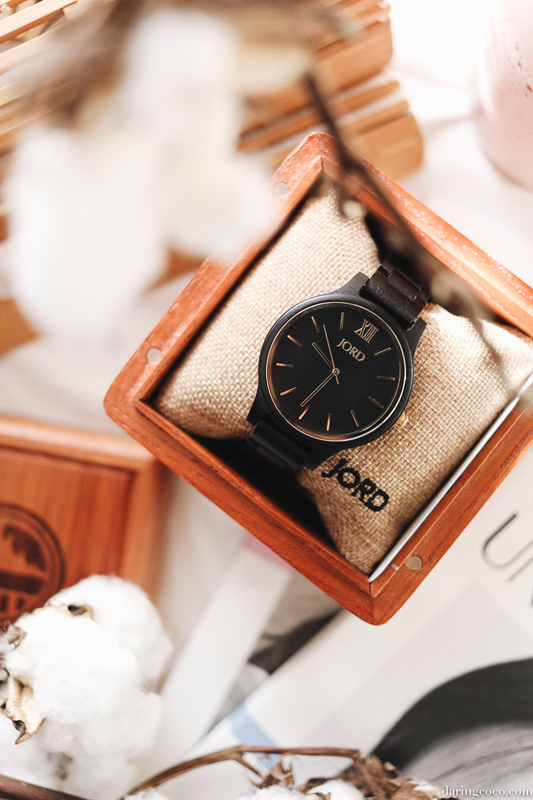 So what can be better than wooden watches from Jord? A giveaway for your very own distinguished wooden watch. 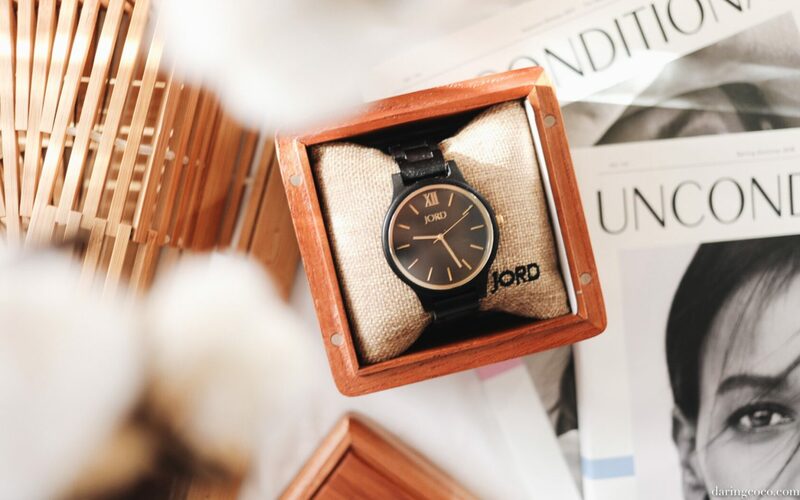 One lucky reader will win themselves a $100 voucher to exclusively put towards their very own unique wooden watch purchase from Jord. Entry is effortless and open worldwide until the 16th September 11:59pm CST. Simply click on the link below and follow the prompts.